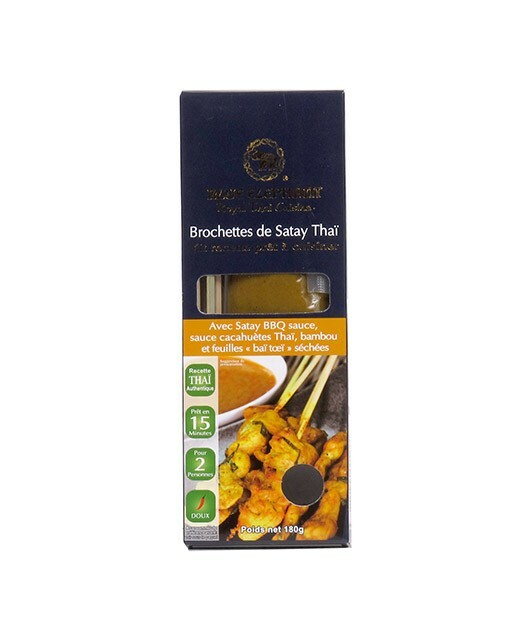 This cooking set is designed to make the spicy Tom Yam soup (spicy lemongrass soup). Simply add water and coconut milk to make a real Tom Yam soup. You can also add shrimp or chicken as you wish. Lemongrass, lime juice, galangal, chilli, soy, coconut milk, kaffir lime, garlic, onion, paprika oil, sugar, water. Conserver dans un endroit frais et sec. Après ouverture, conserver au réfrigérateur et consommer sous 14 jours. Pour the contents of the can into a saucepan. A boil, add 200g of raw shrimp or fish. For more flavor, add sliced ​​tomatoes, small mushroom foam, and corn. Cook over low heat for 4-5 minutes.